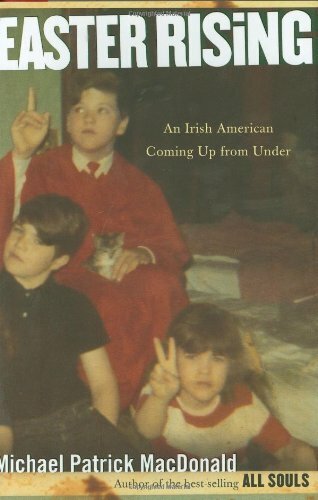 Publisher: Houghton Mifflin Harcourt, U.S.A.
Michael Patrick MacDonald's All Souls: A Family Story from Southie told of the loss of four of his siblings to the violence, poverty, and gangsterism of Boston's Irish-American ghetto. The question &quot;How did you get out?&quot; has haunted MacDonald ever since. In response he has written this new book, an honest story of reinvention that begins with young MacDonald's breakaway from the soul-crushing walls of Southie's Old Colony housing project and ends with two healing journeys to Ireland that are unlike anything in Irish American literature.<br />The story begins with MacDonald's first urgent forays outside Southie, into Boston and eventually to New York's East Village, where he becomes part of the club scene swirling around Johnny Rotten, Mission of Burma, the Clash, and other groups. MacDonald's one-of-a-kind 1980s social history gives us a powerful glimpse of what punk music is for him: a lifesaving form of subversion and self-education. But family tragedies draw him home again, where trauma and guilt lead to an emotional collapse. In a harrowing yet hilarious scene of self-discovery, MacDonald meets his father for the first time - much too late. After this failed attempt to connect, MacDonald travels to Ireland, first as an alienated young man who has learned to hate shamrocks with a passion, and then on a second trip with his extraordinary &quot;Ma,&quot; a roots journey laced with both rebellion and profound redemption. Michael Patrick MacDonald helped launch Boston&#x2019;s successful gun-buyback program and is founder of the South Boston Vigil Group. He has won the American Book Award, a New England Literary Lights Award, and the Myers Center Outstanding Book Award administered by the Myers Center for the Study of Bigotry and Human Rights in North America. His second book, the highly acclaimed memoir Easter Rising, was published in 2006, and will be available in paperback from Houghton Mifflin in March, 2008. He is currently writing the screenplay of All Souls for director Ron Shelton. MacDonald lives in Brooklyn.